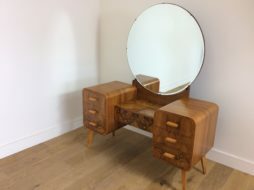 Antique Wardrobes | Interior Boutiques – Antiques for sale and mid century modern furniture, french furniture, antique lighting, retro furniture and danish furniture. 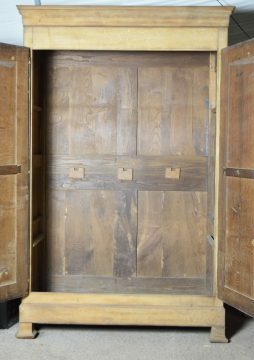 This antique linen press is extremely fine quality & in good original condition. 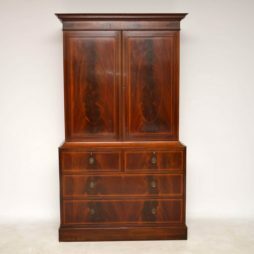 Dating from the 1890’s period, it has many fine features. 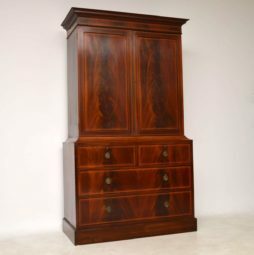 The satinwood inlays are all over the front, which is also flame mahogany. 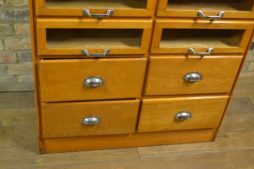 There’s a brass beading between the top cupboards & the drawers have the original brass handles, plus locks. 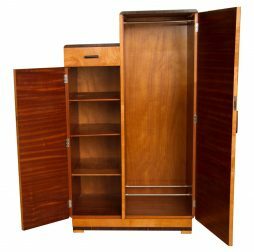 Inside the two cupboards are three sliding trays. 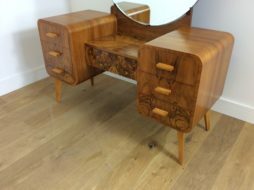 The drawers in the base are finely dovetailed & all work well. 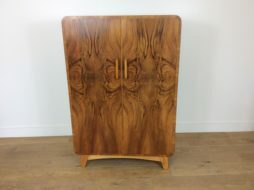 I particularly like the curved middle section above the drawer section which the cupboard sits inside of. 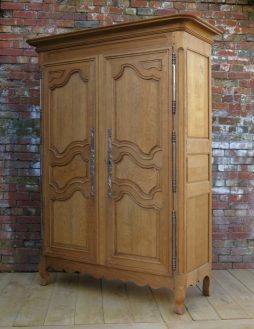 This linen press has a good original look, with natural fade in places & also has a very stylish design. It separates into three sections – cornice, top cupboards & the drawer section. 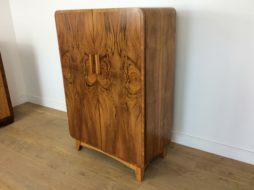 Beautiful Art Deco Tall Boy in a stunning Figured Walnut. 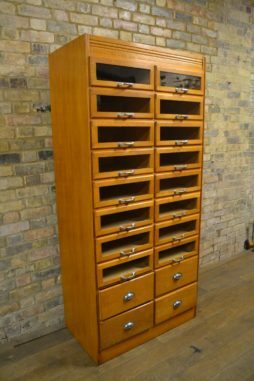 This is a lovely haberdashery shop display cabinet with 16 drawers & four lower solid drawers. 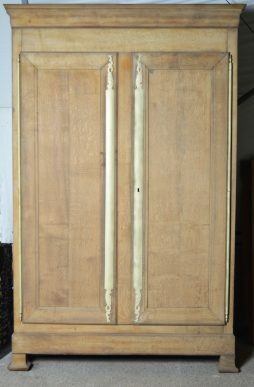 19th century French bleached oak armoire with internal shelving, drawers and working locks and keys. Offered in showroom condition consistent with age. 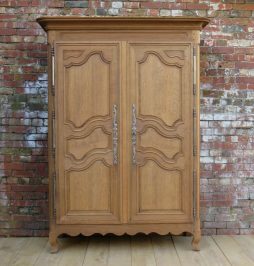 Beautiful faded pale Oak Antique French Armoire. Original decorative ironmongery in brass. Supplied with blacksmith made hanging rail. A shelf could be added if required. Probably turn of the century, circa 1910. In really good order for its age. All very sound but comes in one complete piece. Art Deco Wardrobe and two Tall Boys. 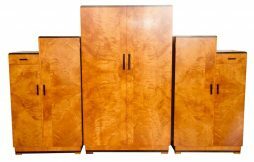 Very fine Art Deco Wardrobe set, beautiful Satin Maple and Macassar.